Philadelphia officials are offering free Narcan training sessions to the general public, an effort aimed at reducing the city's skyrocketing drug overdose death figures. Philadelphia is on pace to total more than 1,200 drug overdose deaths this year, according to city health officials. That figure would easily surpass the total from 2016, when a record 907 people died of overdoses. And it would absolutely dwarf the total of 702 from 2015. To help combat those rising figures, the Department of Behavioral Health and Intellectual Disability Services is hosting four sessions to train the public how to administer Narcan, an antidote credited with saving the lives of many overdose victims. 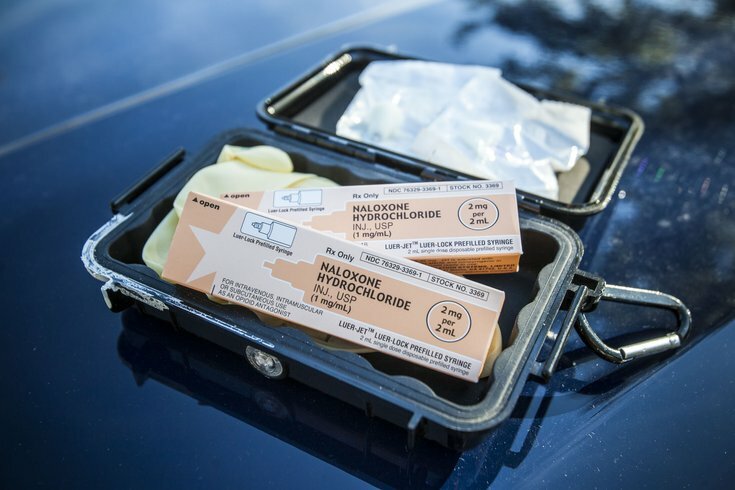 Narcan, the brand name for Naloxone, can be obtained without a prescription by any Pennsylvania resident, thanks to a statewide, standing medical order. It can be administered easily by people who are not medical professionals. But many people are not aware of Narcan, nor do they know how to access or use it, according to a report released in May by Mayor Jim Kenney's task force to combat the opioid epidemic. The report recommended the city launch an awareness program. Residents who attend the training sessions, which begin Wednesday, will receive a standing order prescription for Narcan, as well as a list of local pharmacies that typically stock the medication. Service providers will receive a Narcan kit. "The big thing, right now, is this is an all-hands-on-deck effort," DBHIDS Deputy Commissioner Roland Lamb said. "We want to make sure we have as much of the community that we can, in term of these trainings. We would love to see community groups (and) civic groups get involved in this training." The monthly training sessions, which run two hours, also will cover the various opioids being used, overdose indicators, and ways to reduce drug use. The training sessions are being held at Community Behavior Health at 801 Market St. The first two sessions – Sept. 20 and Oct. 18 – have filled up. But residents can register for the two other sessions – Nov. 15 and Dec. 13 – online. The Department of Behavioral Health and Intellectual Disability Services held a similar training session last year for city employees and specialized treatment providers, Lamb said. A total of 236 people participated. This year, they opened it to the public. "The bottom line is saving lives," Lamb said. "We have been very conscious of that fact that, last year, we had 907 deaths, which was an increase of the year before." Lamb stressed that the training is for anyone – community members, family members of those using drugs and people struggling with addiction themselves. "It's designed to pretty much enhance the awareness of opioid overdose and the response to it," Lamb said.